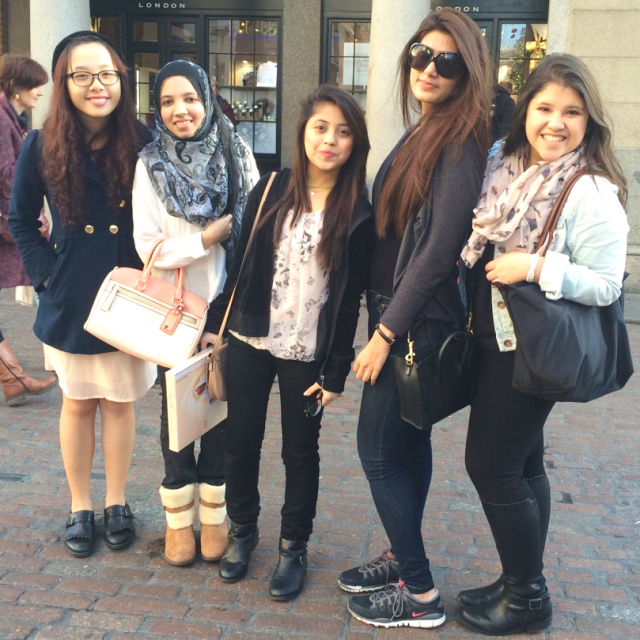 Zoha from Pakistan shares her experiences since moving from Pakistan to England to study in London. 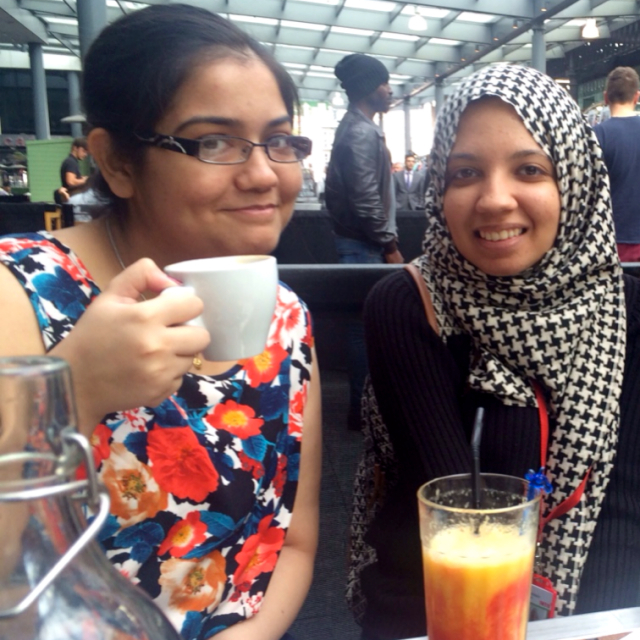 Zoha, left, is loving life in London! The welcome week at the beginning of my course. I became friends with a very interesting bunch of people, who were enjoyable to talk to and excited to know about each other. 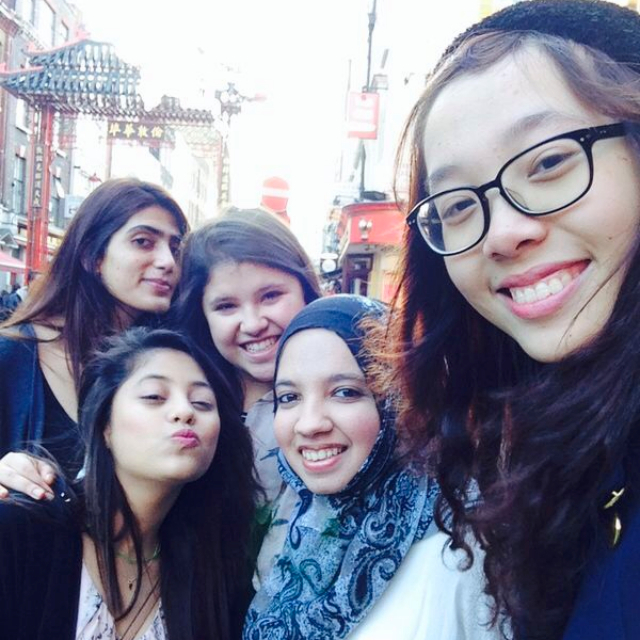 Despite being in different programmes, all of us would meet up during our break to explore the neighbourhood. We visited the Spitalfields Market where I could find various small stalls selling clothes, accessories, handbags etc and many restaurants of various cuisines. I had a great time talking to my friends and learning more about their personalities and backgrounds, and vice versa. What do you do in London in your spare time? On my friend’s birthday, a big group of us went to China Town for lunch. China Town is a long narrow street filled with typical Chinese restaurants, small shops, fruit and vegetable stalls and people from all walks of life. It’s absolutely bustling, it’s so exciting. We ate in one of the local restaurants and tried an array of authentic food. We had dumplings in different flavours, which one of my Asian friends introduced us to. After an exquisite lunch I tried Taiwanese bubble tea for the first time. It was delicious. 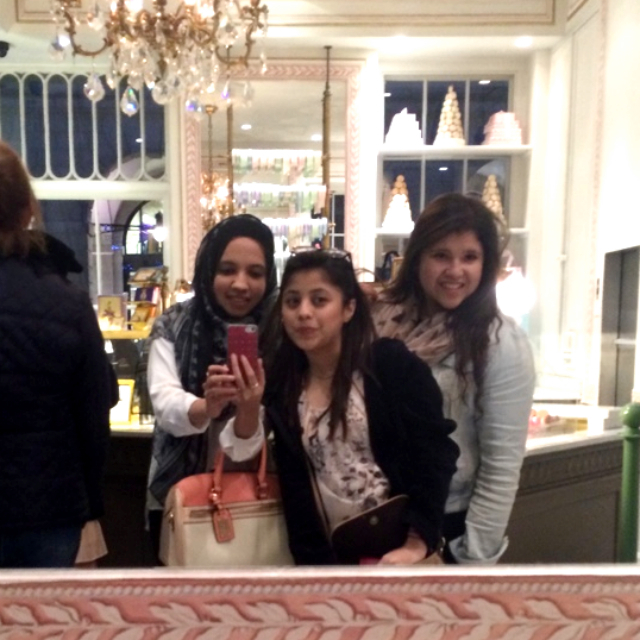 Next, we went to Covent Garden where we had dainty French macaroons for dessert. I had a great time trying new dishes from around the world, admiring the shops and taking loads of pictures with my friends. How would describe London to other people considering studying in the UK? From making new international friends and learning about new cultures, to enjoying the typical touristic spots and celebrating popular holidays, there is always something new to look forward to in London. I have immensely enjoyed meeting people from diverse backgrounds and growing in an educational yet entertaining environment. 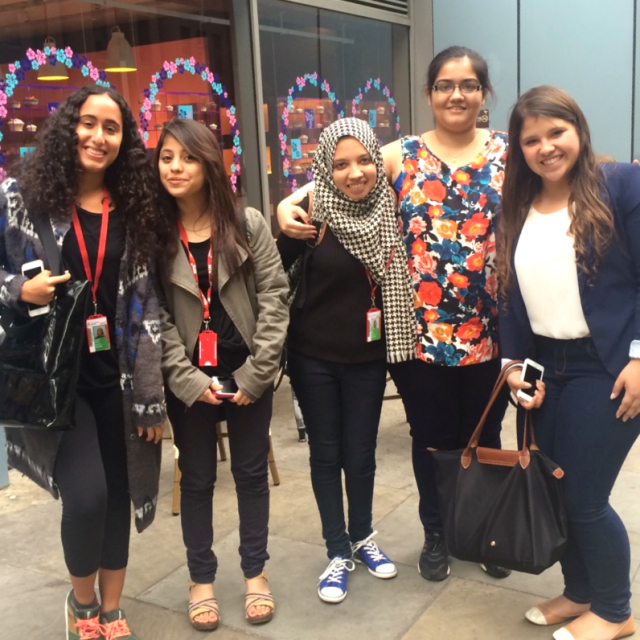 Zoha studied an International Foundation in Humanities and Law at INTO City University London. To find out more about studying in the UK, head over to our website. 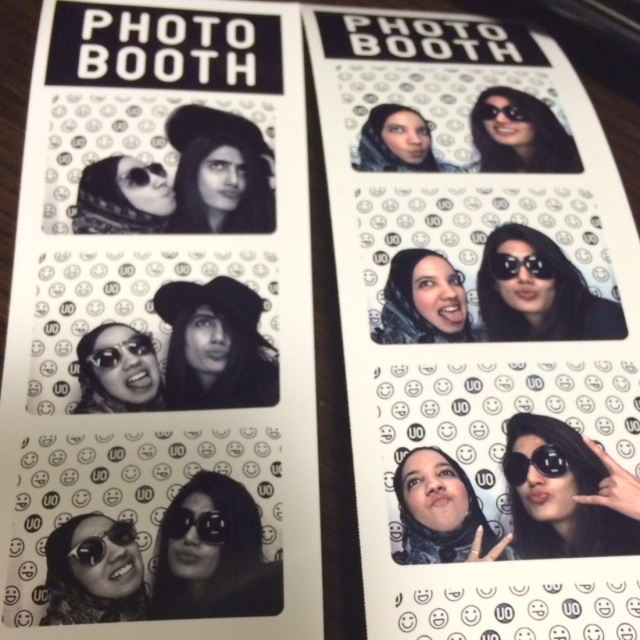 You may also like to read Iffah’s story about her life in London vs Singapore or why London is an awesome study city. 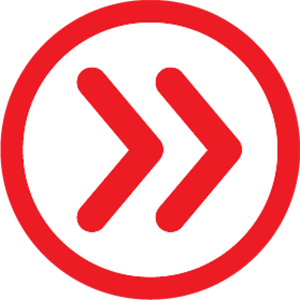 Catch up with what’s happening at INTO City, University of London on their Facebook, Twitter and Instagram. Next story Adventures in Scotland! Previous story Can we guess your Chinese Zodiac sign?